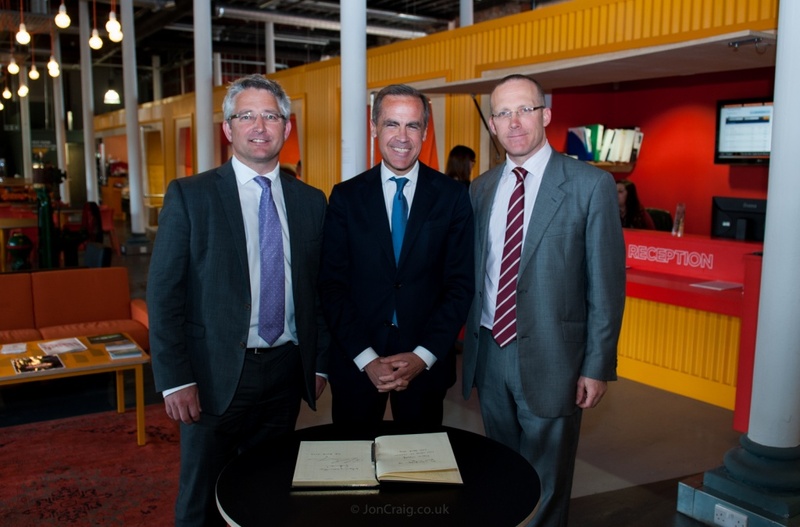 Business West played host to Mark Carney, Governor of the Bank of England, at Engine Shed in Bristol, as part of his first visit to the South West on Monday 28th April 2014. Governor Carney met with the Executive Director of Business West, the Chair of the West of England Local Enterprise Partnership, and the Mayor of Bristol, George Ferguson, as well as a range of business and university leaders. He heard about the improving economic indicators in the region’s economy and also some of the major challenges to jobs and sustainable growth. At Engine Shed, Governor Carney also met with Engine Shed director and director of university business incubator, SETsquared, Nick Sturge. There followed a series of company visits and tour of Bristol SETsquared Centre.